When creating new designs and illustrations, the first step is to determine what colorspace you will need to use. If you are creating graphics solely to be displayed on a monitor, RGB is the clear choice. But, when you are creating new work that will end up in print form, use CMYK. In order to understand the reasons behind these choice, we thought we would shed a little light on how these two work, and how they compare when it comes to your projects. The first step, is to take a look at the differences in color gamut, or the entire range of available colors. Looking at the graphic below you can see that RGB takes up the second largest portion, next to the colors available to the human eye. CMYK however, takes up a smaller portion. The eye represents the whole gamut that is recognizable to the human eye. RGB (red, green, blue) is additive color. So, in order to achieve white, all of the colors are added together. This represents the light spectrum, and as computer monitors emit light, the RGB colorspace is used. CMYK (cyan, magenta, yellow, black/key) is subtractive, with white bring achieved by subtracting all of the colors. This represents the absorption of light, so when all of the colors are combined you get black, which is the absorption of all light. 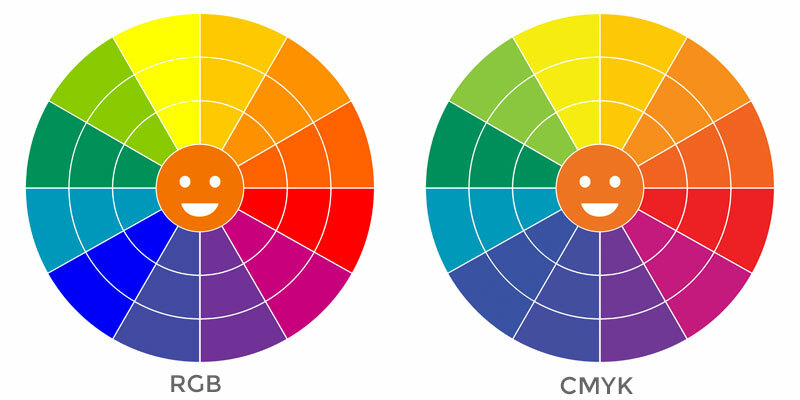 These differences are important to keep in mind, as there are colors you may want to use in the RGB colorspace, that will shift once converted to the more limited CMYK colorspace. To illustrate this, the color wheel below was first designed in RGB and then converted to CMYK. You will notice that the electric blue, yellow, and green, had the most dramatic shift. A few of the other colors shifted as well, but in a more subtle way. These possible color shifts are why it’s recommended to create your designs in the CMYK colorspace. It’s true that CMYK is a bit more limited, and the colors may often look flatter than RGB, but accuracy is the main benefit. 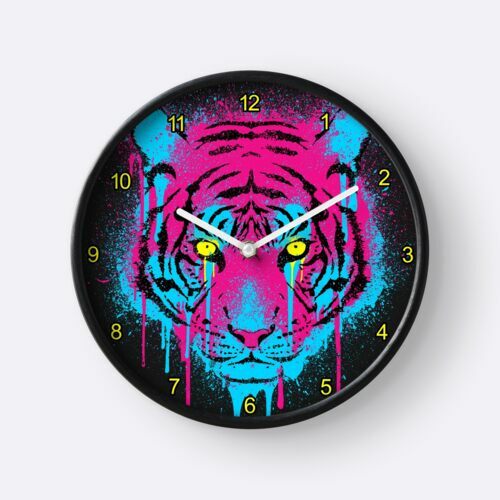 If you create your new designs in CMYK, there should be no dramatic shifts when you export your designs as PNG (which can only be RGB), and then back to CMYK during the physical printing process. Getting in the habit of starting your new designs and illustrations in CMYK, and saving them as your master files, allows you more control over your designs and ultimately less work in the long run. Did you find the tutorial helpful? Please let us know in the comments below, and share any tips you might have.